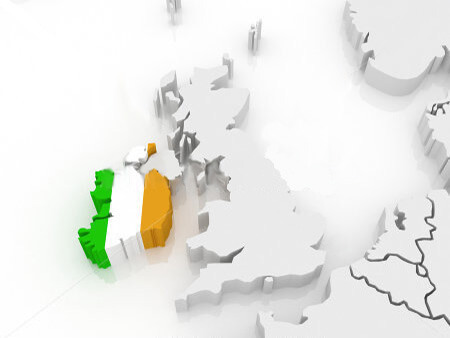 If you are moving to Ireland from the UK or vice versa Andrews Removals Ireland provide a competitive, friendly and reliable service in moving its customers across the Irish Sea. We specialise in Irish Removals and can deliver to all parts of Ireland including Belfast, Dublin, Athlone, Mayo, Sligo, Galway, Clare, Cork, and Kerry on the West Coast of Ireland plus much more. We will also collect from any destination throughout the UK & Irleland. Andrews Removals are a family run UK removals & storage company, offering a friendly prompt professional service with good value for money. We have extensive experience with all aspects of house removals, office removals and international removals along with worldwide shipping. Andrews Removals can provide a load service: A part load is when one or more people share space on a vehicle, this is the most cost effective way of moving to Ireland from UK. A removal vehicle is divided up and customers only pay for the space that they use. This is our most popular service – we therefore suggest that you book in advance to ensure availability. For a free removal quotation for removals to Ireland call 0800 955 1982 we can also offer advice and guidance throughout every step of the removal process when moving to Ireland.